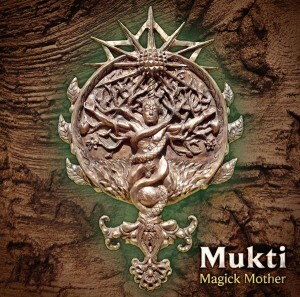 Magick Mother marks the debut of Mukti (Darren Harper), an American psytrance and ambient producer. This five part conceptual release explores the rich symbolism of the mother archetype, challenging the listener with raw psychedelic rhythms and powerful atmospheric effects. Although the style is associated with darkpsy it is better to think of it as twisted forest trance with space rock influences and a slightly lo-fi sensibility–not unlike Para Halu or Psykovsky in some ways. This release has been mastered by Kri at Audio Valve and features artwork by Paul Zulauf.